Let your ice express your emotions for you. 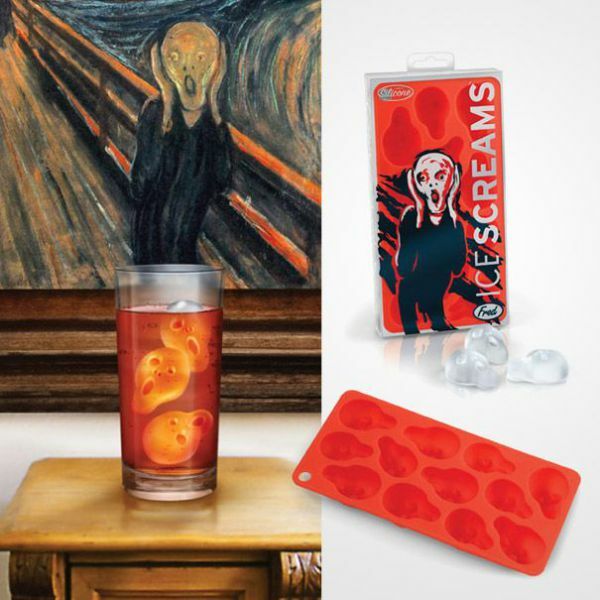 Thanks to this icy version Munch's classic Scream, you no longer have to verbalized your disgust and disdain for those around you. These ice cubes are all you'll need. Can't believe she wore those shoes?! Just sip your tea. Need to comment on the uninformed opinions regarding neoconservatism being spouted off at the party? Yep, just drink your caffeine juice. Art is worth a thousand words, especially when it's floating in bitter tea.